In the food-prep category, Ninja® made a name for itself by introducing innovative professional-quality products for the masses. Euro-Pro soon set its sights on the cooking category. Balance worked closely with the Euro-Pro engineering team to design a multi-functional cooking system over an internal architecture developed by them. We took great care in creating touch points that were in alignment with the Ninja® Visual Brand Language. We designed all user-interface elements to support a professional-at-home theme, both in appearance and feel. 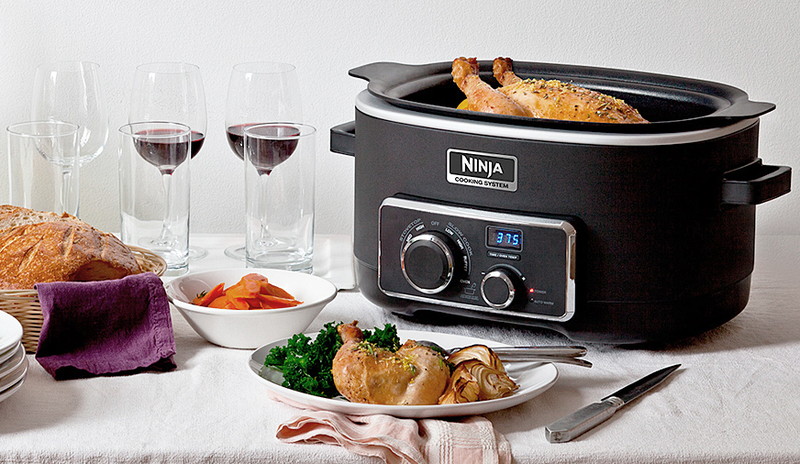 The Ninja® 3-in-1 Cooking System has received rave reviews and an ‘A-rating’ from Good Housekeeping.